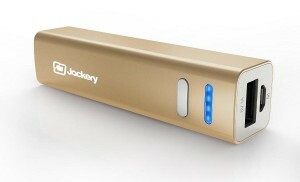 With a wide variety of different portable batteries, Jackery has something for everyone. From batteries which are built into the case of your smartphone to high-capacity batteries which can fully charge almost any device to tiny batteries which are hardly larger than your finger, one of the portable batteries described below is sure to be a perfect fit for your needs. Fits the iPhone 5, 5S, and 5C. Includes two cases (one black, one orange) and an Apple-certified Made-For-iPhone (MFI) Lightning charger so no extra parts are needed. Has a capacity of 2,400 mill-amp hours (mAh), which is enough to fully recharge the iPhone 5S. The iPhone 5 only has a capacity of 1,440, so the Leaf can charge it one full time (100%) and 70% of another time for a total of 170%. The Leaf weighs 3.4 ounces; for comparison, all the iPhone 5 models weigh about 4.0 ounces. That means you roughly double the weight of your phone. If your phone spends most of the day sitting on your desk or in your purse, that’s probably not a big deal. Also includes a micro-USB charging cord, so you can charge the battery, and an audio extension cord so you can continue listening to music from your phone. The audio extension cord looks funny dangling from your iPhone, so it’s recommended that you connect the other end to your headphone/earplug cable and leave it there – that way it’s always ready for use but doesn’t look ugly. With their lightweight and fairly small size, you’ll hardly even notice that the battery is attached to your phone – making the Leaf perfect for people who regularly run out of battery in the middle of the day. Yes (sort of). If you connect the Leaf to your iPhone and then connect the charge cord to the Leaf, it will first charge your iPhone. When your iPhone finishes charging, it will start charging the Leaf. This means you can easily charge both overnight without any extra effort. Yes. You can still connect your iPhone to your computer using the micro-USB cord included with the Leaf as well as use the included audio extension cord to listen to music. However, if you need to connect another Lightning accessory or anything else designed to snap on to your phone, you will need to remove the Leaf and possibly also the case. The Leaf shuts down automatically when your iPhone becomes 100% charged, conserving the remainder of its power for the next time you need it. All you have to do to start charging again is press and hold the power button on the Leaf for two seconds. It can connect to almost all USB-powered devices, including iPhones, iPods, iPads and other Apple devices as well as Android smartphones and tablets and even non-smart devices such as MP3 players and GPSes. As long as the device has a standard USB cord, it will probably charge from the Air. 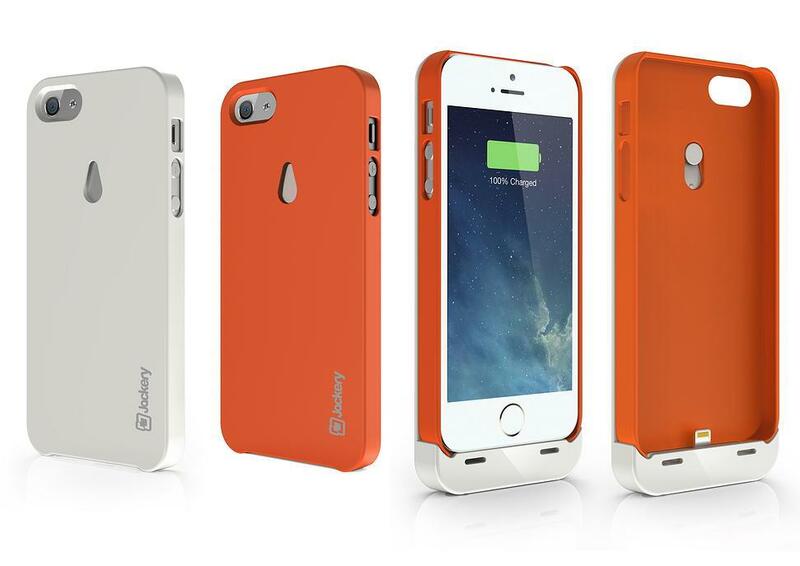 5,000 mAh capacity, which is enough to fully recharge a 2,440-mAh iPhone 5S twice or a iPhone 5 almost four times. Other smartphones should also get about two recharges, with larger tablets getting between a 50% charge to a 100% charge. Only 1.0 amp output, so it won’t recharge your device as fast as newer chargers from Jackery, nor as fast as newer chargers from other brands such as Anker. 4.9 inches tall by 2.3 inches wide by 0.3 inches thick, making it the size of a modern smartphone. This allows it to fit into backpack and purse pockets which have been designed to hold smartphones. It also includes a micro-USB cable to use for charging. The Air is only available in the distinctive Jackery Orange. If you need a lot of capacity and want your device to neatly slip into a pocket or holder designed for smartphones, the Air is the perfect choice. However, if you want a battery which charges up your device as fast as possible, consider one of the 2.1-amp options described below. All batteries drain fastest when they’re full, but as they get close to 75% full, the drain rate slows significantly, so you will probably get one to two weeks at 90% to 100% full; up to another three weeks at 80% to 90% full; and then you’ll hardly lose any more power for months on end. This makes the Air and other Jackery batteries ideal for keeping in your purse or backpack as an emergency backup battery for when your phone runs out of power. Unlike most other portable batteries on the market (such as Anker or Innergie products), you can charge the Air and some other Jackery batteries at the same time they charge another device. This lets you use a single wall charger or laptop USB plug to charge both your device and your battery while you sleep – when you wake up, both should be fully charged. When you first receive the Air, you should fully charge it (which may take up to six hours). Take the cord that comes with the Air and connect it to a laptop USB port or a USB wall charger; then connect the other end to your Air. The LEDs will start flashing; when they turn solid green, the Air is fully charged. Now take your device and its regular USB charging cord and connect it to the Air. Then press and hold the button on the Air for about two seconds. The LED lights on the Air will come on and stay on for as long as your device is charging. When you’re finished charging, simply disconnect the cord. An upgrade of Jackery’s original Giant portable battery, the Giant+ offers more capacity and more amps to ensure you can fully charge almost any device on the market at least once. With two USB ports, you can charge up to two devices simultaneously – and with one of the ports being a 2.1-amp output, you can charge most high-capacity smartphones and tablets at full speed. 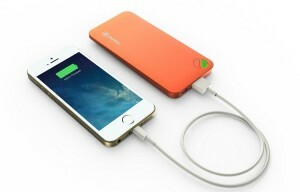 12,000 mAh, which is enough capacity to fully recharge an iPhone 5S about five times. It can even fully charge a 11,666-mAh iPad 4, which is something very few portable batteries on the market can do. 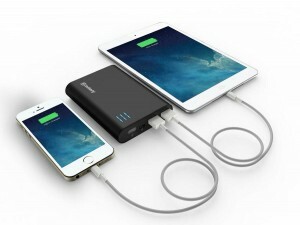 Two outputs: one 2.1-amp output which can charge devices like the recent iPhones and iPads (as well as Android devices) at full speed, and a 1.0-amp output which can charge a second device simultaneously at regular USB charging speed. It’s input is only 1.0 amp, so it will take about 10 hours to fully charge your Giant+. Available in three colors: black, gold, and the distinctive Jackery orange. 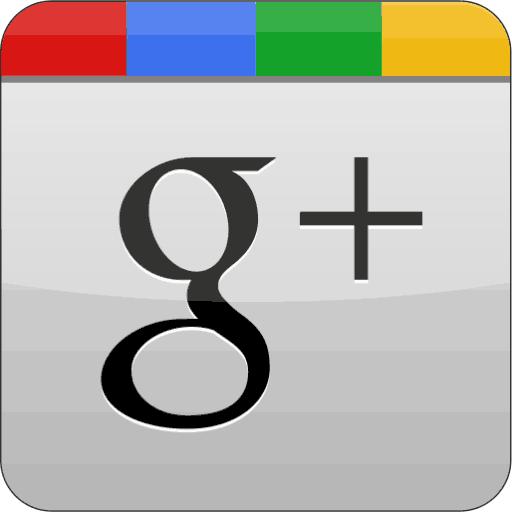 It’s 4.3 inches tall by 3.1 inches wide by 0.8 inches tall – which is fairly small for a battery of this capacity. It weighs 10.4 ounces, which is also less than most other high-capacity batteries. Included with the Giant+ are a micro-USB cord you can use to charge it and a built-in dual LED light which can be used as a bright flashlight. The Giant+ is great for anyone who needs to recharge a high-capacity device or who needs to recharge a phone multiple times during a hiking trip or other long period of time between wall chargings. At least 500 full charges, which is the industry standard for these type of batteries – you’ll find that the Anker and Innergie batteries have a similar lifetime. Note that 500 full charges also means that you should get 1,000 half charges or 2,000 quarter charges out of the device if you don’t drain it down entirely each time. No. The maximum output of the Giant+ is 5 volts and 2.1 amps which is much lower than required to charge any common laptop or netbook even if those devices could be charged using USB. However, 2.1 amps is sufficient to charge even the highest capacity tablets, such as the iPad 4. Yes, although you’ll have to buy your solar equipment separately and ensure it’s designed to charge USB devices. There are a number of these small, portable solar chargers on the market and using them with the Giant+ is a great idea – it lets you use your phone or tablet during the day while charging the Giant+; then, at night, you can recharge your device from the Giant+. Not as large as the Giant+ but more capacity than the Air, the Fit is ideal for anyone who needs a lot of battery capacity but doesn’t need the dual USB ports found on the Giant+. 7,800 mAh, which is enough to recharge most smart phones two to three times and most tablets at least once. It’s single 2.1-amp output can charge many devices at full speed – but not Apple Lightning devices. Lightning devices will be charged at the standard 1.0-amp USB speed. 3.9 inches tall by 2.5 inches wide by 0.8 inches thick, making it still quite small. At 7.4 ounces, it weighs about 25% less than the Giant+. 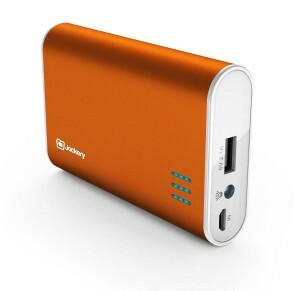 Available in silver or Jackery orange and including a micro-USB charging cable and a built-in LED flashlight. Although not ideal if you want to charge a recent Apple device, the Fit is still a great choice for users of Android devices or anyone who needs a lot of spare battery capacity. Press the power/charge button twice is quick succession. The light should come on. To turn it off, repeat the process. When you’re charging, you know you’re fully charged when all three lights are solid (not blinking). The rest of the time, three lights means 67% to 100% charged; two lights means 33% to 66% charged; one light means 10 to 32% charged; and one blinking light means below 10% charged. Apple Lightning devices and some other fast-charge devices have a special circuit which will only draw more than one amp from devices which have a corresponding circuit. This is partially a safety mechanism to prevent damaging older portable batteries and laptops. 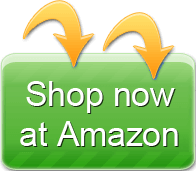 Unfortunately, the Fit does not have this special circuit – although some other Jackery devices do, as do some devices from the Anker Astro brand. Possible the best offering from Jackery for people who want a lot of power in the smallest possible package, the Bar has almost as much capacity as the Fit (above) but is almost half as wide. Like the Fit, it also features a 2.1-amp output so it can charge most devices at their maximum speed. 6,000 mAh, enough capacity to fully recharge an iPhone 5S twice. About 100% the capacity of a typical Android tablet. With a 2.1-amp automatically-adjusted output, it can charge both standard 1-amp USB devices and faster 2.1-amp devices—including Apple Lightning devices—at their full speed. 3.8 inches tall by 1.8 inches wide by 0.9 inches thick and weighing just 5.4 ounces—this is one of the most power-dense portable batteries on the market, especially in the 5,000+ mAh class. Available in four colors: black, gold, silver, and Jackery orange. It also includes a micro-USB cord to charge it and a small built-in LED flashlight. 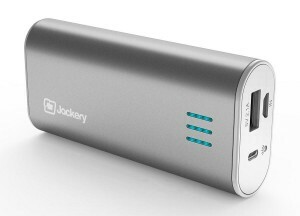 This is probably Jackery’s best-selling model, as it is smaller and better performing than most other similar portable batteries on the market and it tends to have an excellent price too. Yes. This battery charges using any standard USB plug, whether it’s in a laptop, a car, or a wall charger—so all you need for International travel is either a 220V USB wall plug or an adapter that converts 220V to 120V for your laptop. Yes, as checked luggage. Unfortunately, for carry-on, it’s up to each airport. In general, U.S. Transportation Security Administration (TSA) regulations only allow Ion-Lithium batteries as carry-on if they’re part of a device. This means laptop batteries are allowed attached to laptops and phone batteries are allowed attached to phones—but the Bar and other portable batteries may or may not qualify as a battery connected to a device depending on each TSA officer’s interpretation of the regulations. The smallest of Jackery’s portable batteries, the Mini can provide you with a full charge for an iPhone 5S or almost any other smartphone. That’s amazing considering it’s less than an inch wide and an inch thick. 3,200 mAh, which is more than you need for a 2,440-mAh iPhone 5S. It’s also plenty of capacity to fully charge many other devices, or to give you another hour or two on your tablet. It has a 1-amp output, so it can’t charge recent devices at their maximum speed, but it can still charge them at standard USB speeds. Just 3.7 inches tall by 0.9 inches wide by 0.8 inches thick. Even more amazing, it only weights 2.7 ounces, so you can put it just about anywhere and hardly notice it. That makes this the ideal backup battery for anyone who hates to carry extra stuff. Available in two colors; gold and Jackery orange. It includes a micro-USB cable you can use to charge it. You can connect any standard USB cord to its output to charge your device. The Mini has more capacity than most mid-sized portable batteries had a year ago and yet it’s so very small. If you’re not sure you want a portable battery, this is a great place to start because it’s very easy to carry with you in case your phone battery dies. If you store the Mini if your purse or backpack, there’s a good chance the power button will get pressed accidentally on occasion. If you have a device connected to the Mini, it will then start charging the device. If you don’t have a device connected, it will activate the LEDs for about five seconds, displaying the current battery level—this uses up a tiny amount of battery power but shouldn’t really be a problem. When charging another device, it gets a little warm. When being charged itself, it gets even warmer (particularly near the plugs). In neither case is it uncomfortable to hold or dangerous even if you use it to charge up devices while stored in your purse or backpack. All Jackery devices—and all similar Ion-Lithium portable batteries certified by Underwriter’s Laboratories (the UL mark you see printed on many electronics)—are required to have a circuit which automatically turns them off if they get too hot. Yes. The cord between the Mini and your device should not interfere significantly with GPS signals, although (if possible) you should not place the cord between your device and its view of the sky. Particularly on phones, using the Mini is a great way to save power during mapping activity which drains battery quite fast. It isn’t just the wide variety of Jackery batteries that makes them so great, it’s also their attention to detail. 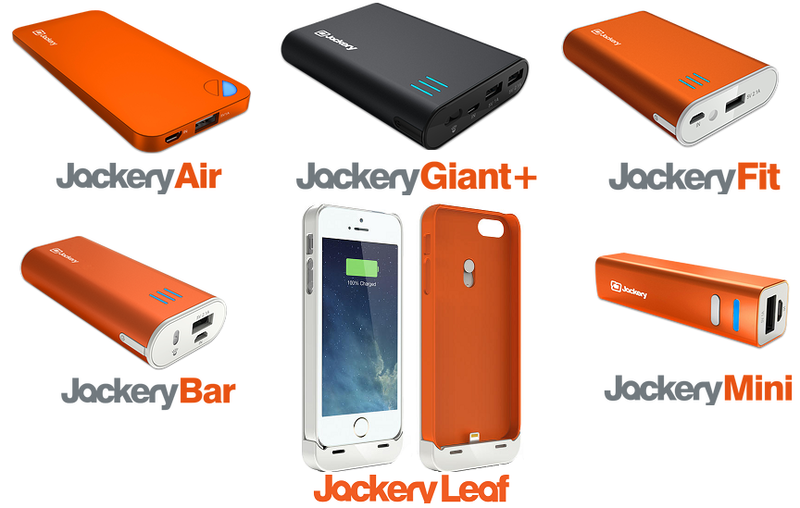 All of the batteries described above get high marks for build quality, so consider buying a battery in that shocking orange Jackery color to showcase to the world your choice in portable batteries.